Bolstered by a resurgent economy and renewed optimism, the construction industry is showing signs of significant growth. Payrolls are increasing, more projects are coming online and the scope of work is increasing. 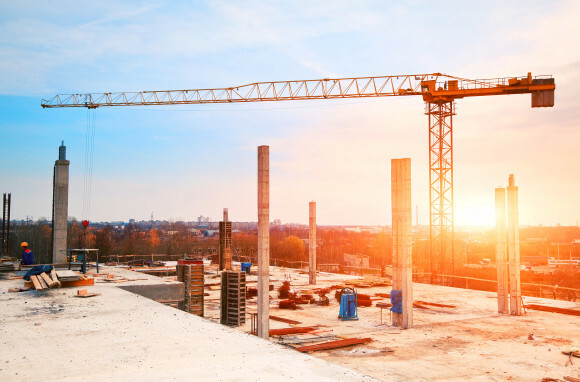 Ample insurance coverage is available for both commercial and residential projects, and pricing is stable with the exception of New York and a few other states where construction defect actions are prevalent. Potential coverage gaps in project specific insurance. Reduced coverage for additional insureds. 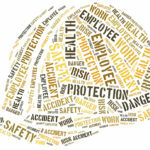 Limited indemnity leaving contractors potentially exposed. 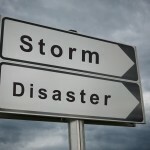 All of these factors warrant careful attention for contractors and risk managers. Originally created for megaprojects, the controlled insurance program (CIP) has become common in the past few years, especially if the project has a residential element. Traditionally, the owner would sponsor the program and general liability was bundled with workers’ compensation for all participants to maximize premium dollars and leverage discounting. Because of the efficiency and unified coverage of these programs, many general contractors are routinely sponsoring CIPs and have made it a part of their marketing strategy. Reduced availability of insurance for contractors of all levels caused by evolving definitions of “residential” and the prevalence of residential exclusions. Concerns about availability of coverage and adequacy of limits to pay claims, driven by the persistence of construction defect claims from residential projects. Continuity and certainty from being able to lock-in coverage and cost, for both the active construction period and the extended completed operations tail to match statutory liabilities. The single path to coverage of a CIP results in streamlined claims processes and reduced frictional costs of negotiations with multiple insurers and attorneys. On master programs that share limits, a loss on a project other than yours may result in reduction or exhaustion of your coverage. Be mindful of limits that aren’t adequate to cover potential losses. Determine what parties are covered. It may be the general contractor and owner or general contractor, owner and all subs. Establish how repair and warranty work is covered after completion of the project. Know what exclusions have been attached to the policy and how they will affect you. For example, how does the policy respond to repair work, and how are common exclusions such as condo conversion and subsidence handled? Be clear on how insurance costs are accounted for in the bidding and billing process. Make sure contracts use consistent language on insurance issues that reflect the implementation of a CIP. Know how deductibles are allocated among the parties and make sure the bids reflect this assumption of risk. CIPs can be mutually advantageous but before binding coverage, it’s important to take a critical look at terms and conditions. Additional insured protection is continually changing, but the one constant in every new ISO form is reduced coverage offered to the additional insured party. The latest ISO Additional Insured (AI) form, effective April 4, 2013, contains three significant revisions that introduce uncertainty into the risk management process. A brief look at each revision reveals some potential challenges. AI coverage only applies to the extent permitted by law.Does this void AI coverage if the contractual indemnity provision is void under the state anti-indemnity statute? Some courts have ruled that the anti-indemnity provision also applies to the AI endorsement, and this creates a problem for insureds operating in multiple jurisdictions. Coverage will not be broader than that required of the named insured by the contract or agreement to provide for such additional insured. This means AI coverage will be no broader than the underlying agreement, regardless of the scope of the AI endorsement. Limits of coverage afforded to the AI are the lesser of: a) the amount of insurance required by the contract or agreement, or b) limits shown in the declarations page for the named insured’s policy. This limits AI coverage to the contract terms or policy limits, whichever is less. Previously, if the carrier provided $2 million of per occurrence coverage and the loss was for $2 million, even if the contract only required $1 million of coverage, the carrier would have to pay the full $2 million loss. Under the new AI form, the carrier is obligated to pay only $1 million of the $2 million. The new AI coverage restrictions and uncertainty over how the forms will be interpreted by the courts means that risk managers need to beware of the potential limitations of the new AI forms. Type 1 agreements afford protection to the indemnitee for everything but “sole” negligence. Type 2 agreements afford protection for “passive” but not “active” negligence. Type 3 agreements afford protection only in the event of the indemnitor’s negligence (MacDonald v. San Jose (1972) 29 Cal.App.3d 413). The MacDonald analysis governed indemnity interpretation for many years. However, recent legislation has limited the scope of indemnity protection and the applicability of MacDonald. In 2006, Section 2782 was amended to eliminate Type 1 and 2 indemnity from residential construction agreements. Therefore, residential builders no longer may seek indemnity for their own negligence regardless of how it may be classified. Also they may not seek indemnity from a subcontractor unless the claim arises from the subcontractor’s work. These limitations, however, do not affect additional insured rights. Section 2782 was amended again in 2013 and a new statute was drafted. (Section 2782.05) These statutes collectively prevent virtually all public and commercial owners and contractors from seeking Type 1 indemnity. Unlike residential projects, however, Type 2 indemnity agreements can still be used in public and commercial projects to protect against liability for “passive” negligence. Construction risk is being shaped by narrowing definitions of indemnity, reduction in coverage for additional insureds and the presence of potential coverage gaps in project-specific insurance, or CIPs. Contractors who want to emerge with a healthy balance sheet should engage a risk manager with an understanding of claims and underwriting trends, legislation and case law. McCall is executive vice president, Construction Practice Group of Lockton Pacific Series (LPS) in Irvine, Calif. Page is senior vice president of LPS in San Diego. Wright is senior vice president and construction department manager of Lockton Cos. in Denver.